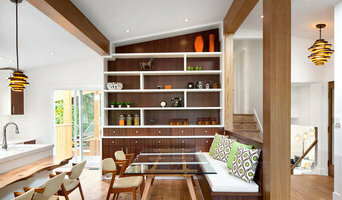 MAC Renovations is an established family business, serving Victoria and Southern Vancouver Island since 1980. When you complete a contract with us, it's the start of our relationship with you, not the end. Our goal is to become your contractor for life. Whether its an energy efficiency upgrade, kitchen or bath design/build or whole house reno, we will be here to guide you through the process and protect your interests. MAC Renovations holds $5 million commercial general liability coverage for your protection, and as the prime contractor we ensure WorkSafe compliance with all employees and subtrades. We are a Certified Renovator with the Canadian Home Builders Association and we are members in good standing with an A+ rating with the Vancouver Island Better Business Bureau. All of our projects come with a 2 year+ guarantee . MAC Renovations believes that integrity is the cornerstone of our business, and this value has got us to where we are today. Soltis Projects is a construction management and design business working with Andres Homes, a Georgie Award winning home building company with over twenty years of experience building single family, multi-family and commercial properties throughout the lower Mainland. We specialize in new home builds, renovations, interior designs & concept designs. Kliewer Bros. Construction Ltd., established in 1959, consults + manages all phases of design and construction. It is our belief that a high level of involvement is essential to ensure a consistent vision + seamless execution of design details. Working with our preferred contractors + suppliers, consideration is given to design sensibility, livability, and quality construction in order to contribute to a lasting investment. For more information go to www.kbcdevelopments.com. Do you want to renovate your condo? 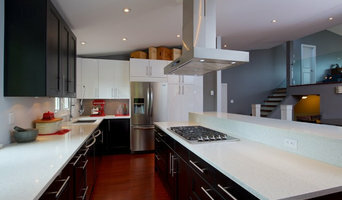 Showcase Interiors Ltd. specializes in condo renovations. As well as thorough planning assistance including feasibility reviews and inspections, we can also provide permit acquisition services. We also possess Advanced Clearance through Worksafe BC and all General Liability Insurance for Strata Approval required for your proposed project. Showcase Interiors Ltd. is a trusted, fully licensed and insured renovations firm offering exceptional service and high quality workmanship. 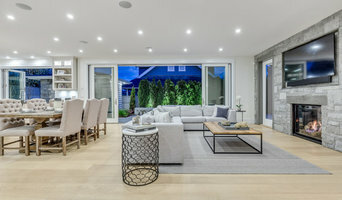 We work with home and business owners to develop, manage and execute small to large renovations and unique installations. We work with accredited architects, interior designers, engineers and authorities to deliver special projects from concept to completion on time & on budget. Our loyal clients love our integrity, reliability, level of service and depth of experience. Contact us today about your project and join our long list of satisfied clients! 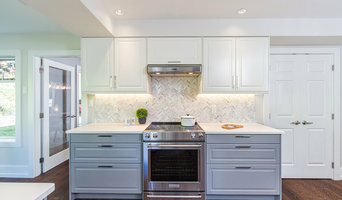 Showcase Interiors is Licensed & Insured in Condominium Renovations in the Vancouver area. We also will acquire the Building Permit for you to ensure your remodel process is an easy transition. We are a proud family business! Instagram - @showcaseinteriors take a look to see projects we have in action! Wyder Horizons Construction specializes in residential renovations. General, or construction contractors, are often known as project managers. They oversee the entire remodeling or new home construction project and facilitate all day-to-day tasks that move it toward completion. A Colebrook general building contractor will work with your architect to review plan as you build a house and ensure everything is in place before work is started as well as arrange for permits and necessary inspections. While good local home improvement contractors in Colebrook will have the skills to handle certain tasks onsite, such as carpentry, he or she is also responsible for hiring subcontractors for the majority of jobs, such as electrical work, painting or plumbing. In addition, the general contractor should be on-site regularly to inspect the progress and resolve issues. Here are some related professionals and vendors to complement the work of general contractors: Architects & Building Designers, Interior Designers & Decorators, Landscape Architects & Landscape Designers, Kitchen & Bath Designers, Specialty Contractors. Home remodeling contractors are a must for successful completion of a renovation. Because of this, it's essential that you do your homework before deciding on the right general contractor in Colebrook as you remodel or build a house. Inspect bids carefully. Was it ready when the contractor promised it? Was the bid for building a home unusually high or low? Each of these things can be very telling: A late bid may reflect timing standards, and an off-the-mark bid could be code for a pricey premium or a deliberate underbid to score the remodeling job. You should call references, carefully read reviews and visit completed projects in Colebrook, BC to see if they’re what you expect for your job. Once you do secure your local Colebrook contractors, read the contract very carefully to be sure everyone is on the same page. Find a Colebrook contractor on Houzz. Narrow your search in the Professionals section of the website to Colebrook, BC home contractors. You can also search for photos in Colebrook, BC and contact the Colebrook general contractor who worked on the project.